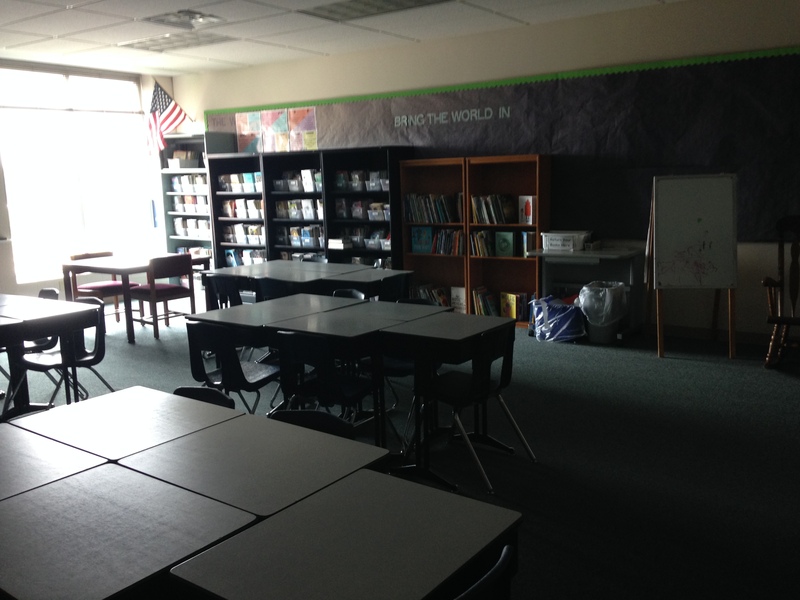 The front display as they come close to the room, most of the day I teach with an open door unless we get loud. 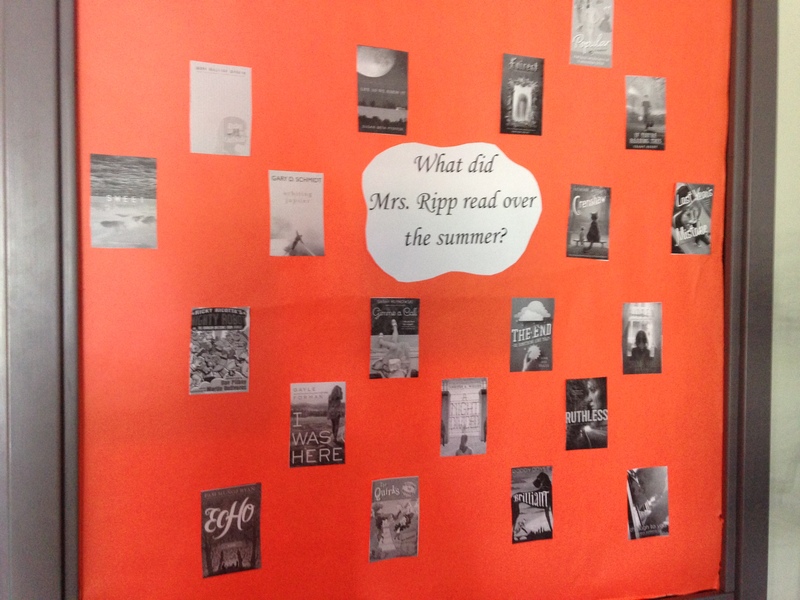 This idea is adapted from the fabulous Jillian Heise who does a picture book a day with her 7th and 8th graders. I don’t know if we will do one every single day but I plan on doing as many as possible, so of course we need a place to showcase them. I don’t believe in the power of motivational posters, but this is I believe in, every single day. 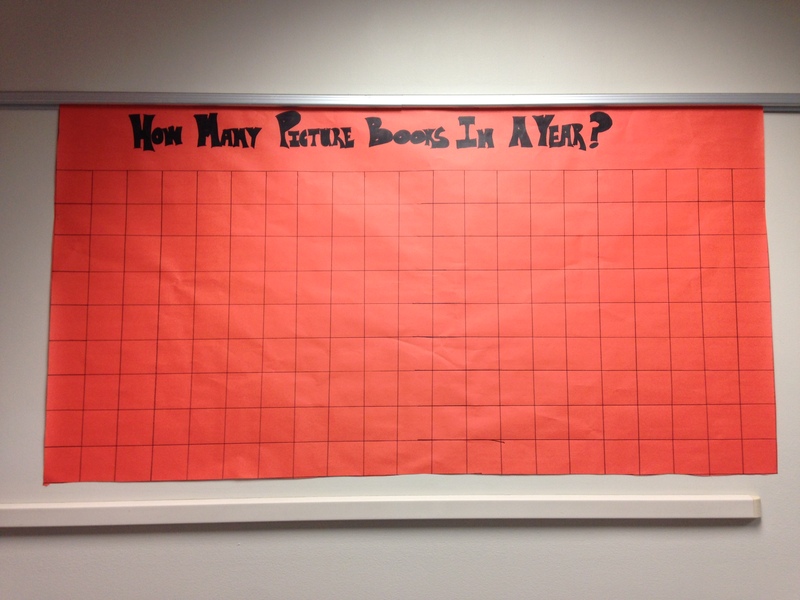 An empty bulletin board waiting to be filled with books. 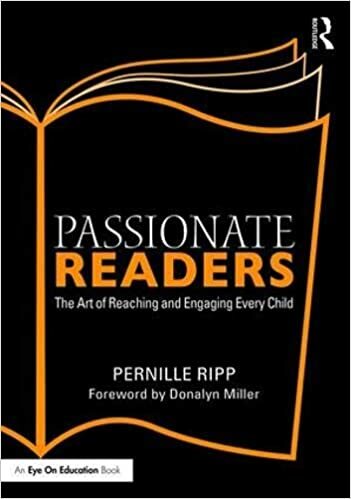 Every staff member at our school has a yellow “Just Read” poster to show students that we are a community of readers. On the other side of the door is my “Read this summer” poster. This was updated as of last week. This is almost the view from the door, slightly to the left of it. I have placed tables in pods for now but know that they will be moved however the students see fit when they arrive. Whatever they need to do with them to make learning accessible works for me. I love my window so much, most days we leave the light off. Students flock to sit in the window and read. View toward my desk. It is in the corner on purpose; I don’t want to sit behind it away from students. I work with students at the small round table when needed or they take it over. 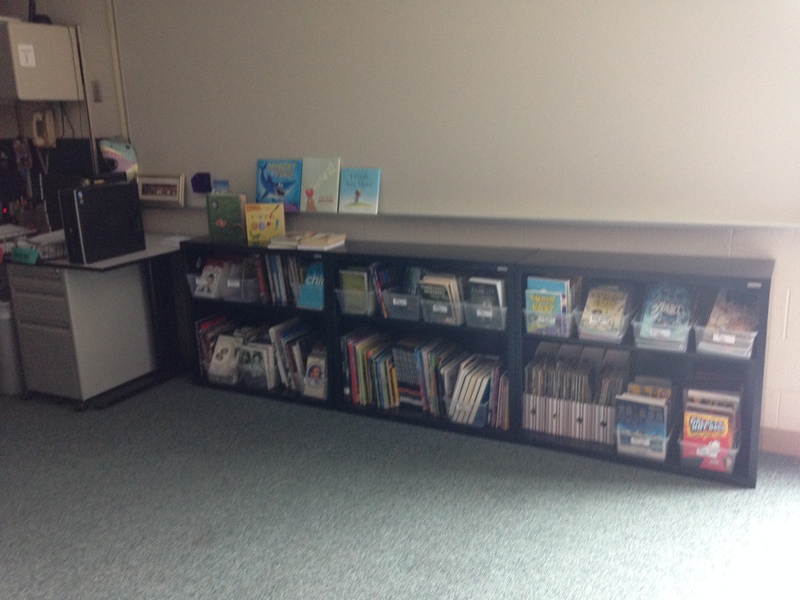 I am just starting to show off all of the new picture books. Also up by the front door, my old rocking chair and easel is where we will gather when we have our mini lessons. 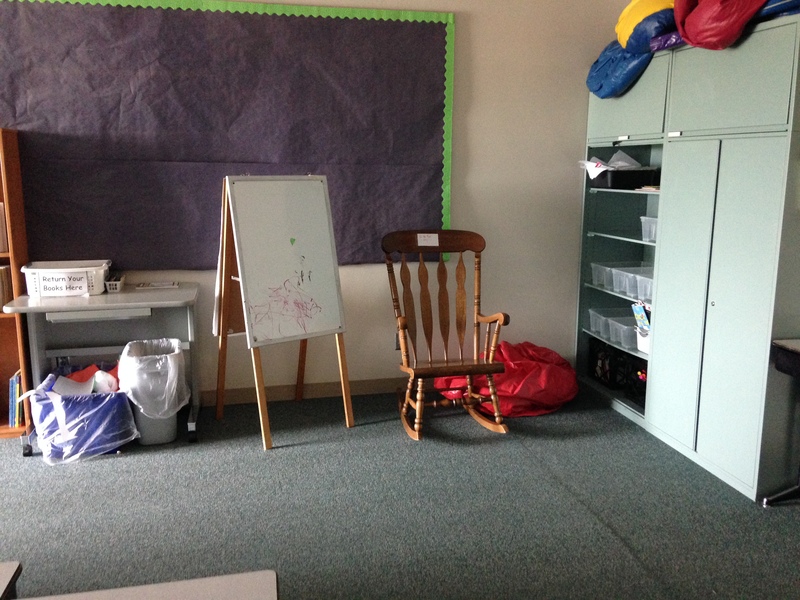 There are bean bags for the students to use, as well as carpet squares. I don’t ask students to sit on the floor unless they want to, what matters is that we can gather as a group and talk. 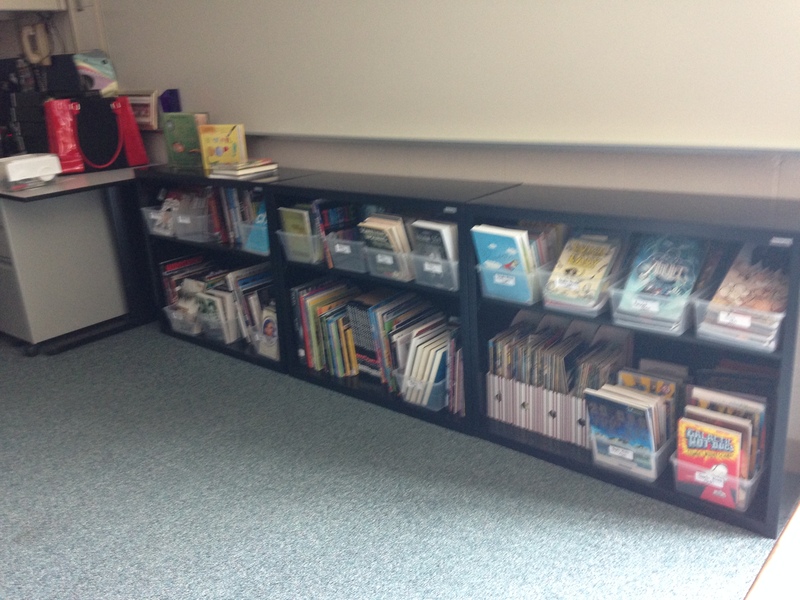 A slightly blurry picture of my non-fiction and graphic novel bookshelves. I am so excited my school got me these, less excited that I already filled them. Probably one of the best things about our classroom; the picture books. How can you not just want to read them all? There you have it, a tour of an empty classroom, waiting for the students to make it important. Love it! The books, of course, but also the chalkboard quote and that retro rocking chair. Thank you for sharing. I always love to see how others create a space for students and learning. I stumbled upon your blog in June and am so THRILLED that I did. Great post! I love your room! Thanks for sharing! 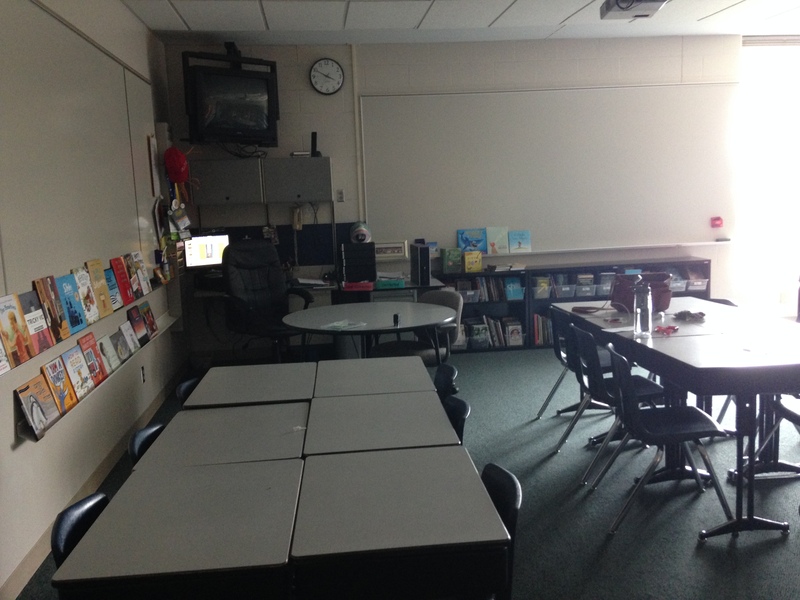 Wonderful pictures of your classroom! There’s also a beauty in the vacancy, that’s relaxing! 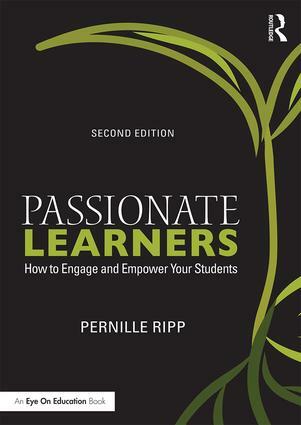 But I agree with you, it’s first when the students come that the classroom comes alive! All the best! I’ve been retired for 15 years and these pictures brought back so many memories of getting ready to return to school. I taught high school English, but last spring I returned to elementary classroomsto share my own picture book (I call it an adult/children’s book) with children, and I love it. Thanks for the memories! Pernille, I think room 239 will be even more bare on the walls than yours! 😉 Thanks for sharing – you’ve inspired me to write a post like this once I can get into the room. Question – what’s the extra “tray” for your picture books under the “chalk” tray in the last photo? What’s it made of? And what type of wall is it attached to? We have cement blocks, so it’s hard to put anything up w/o it being permanent, but I love the tray… ?? Thanks again! Hi Joy, It’s a gutter attached to cement block. It is permanent and I absolutely love it. I would recommend it to anyone that needs more display space. Love the free spaces in your room. Love the fact that it’s the students who will fill the spaces and make them their own. Wondering what your room will look, sound and feel like in a couple of weeks?